Most people associate learning with the classroom, most likely, because you haven’t taken an internship at LJF Marketing. I am learning just as much, if not more, than those Marketing classes I’m required to take. 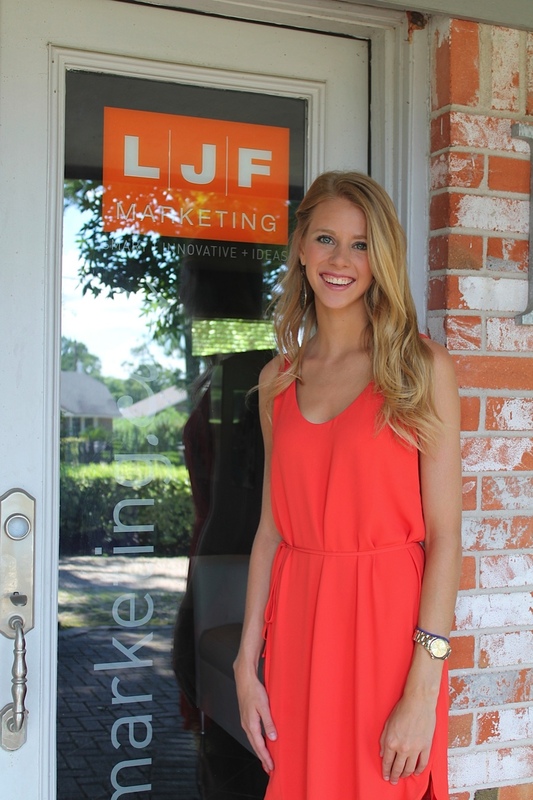 When I got the opportunity to take an internship at LJF Marketing it was a no-brainer for me. Given the chance to experience what I would like to spend my career doing just for the summer was perfect. I had no idea what to expect coming into my first day at the office. Within the first hour I was sitting in my first meeting talking about clients I had never heard of. They were throwing around names and codes I that had no meaning for me. After an overwhelming meeting I was completely fine with filing and organizing the files for a few hours. You could say my very first day I was “a deer in the headlights.” I heard the president explain to me that she had taken her first “selfie” and you could say I was nothing but proud. Within my first week I was given more than I had expected. I was writing and releasing press reports, cutting articles from newspapers, compiling publicity reports, and writing excerpts to be posted on social media sites. I thought I had it all down until the Marketing Director came in with these codes and a time sheet and told me to record it. I let it sit there for a day to see if I could figure it out, but I sure didn’t, and even when it was time to turn the time sheets in I had a few things I had messed up. Another thing I kind of had to teach myself was how to use one of those big copiers. When I got handed a folder and told to make copies, I didn’t ask questions I just had to figure it out and boy did that take a while. She probably thought I was taking my lunch break by the time I got it all back to her. I am so grateful for the opportunities I have been given during this internship. I have been able to learn about a new software they are potentially using, sit in and help create power points for new clients, attend a video shoot and have one of my press reports show up in the local newspaper. Sure, I’ll learn some things in marketing classes but there are some things they just can’t teach me in a classroom. I have learned the art of watching for details after I messed up a Facebook post once or twice, writing a to-do list is very important when you have a few things going on. Organization is a huge one. When you have to keep up with newspaper clippings and copies of them for each press report for seven different clients it all becomes a little, clustered. Overall, from my very confusing first week to one month in I can’t explain to people how much I have learned. The amount of work that goes into to each Press Report, each Facebook posting I would have never known. I finally know how to work my daily time sheet, I could explain the process of prepping publicity reports, how to monitor after they have been released and so many more things. Being an intern is the absolute best thing I could have ever done for myself because thanks to LJF Marketing and my awesome mentors I know this is something I want to do for the rest of my life.